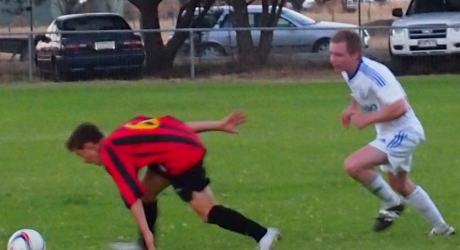 The final play-off spots in the Geelong Diversity Cup were settled on Sunday night as Geelong swept Bell Park aside in a four-nil win, while Geelong Rangers and Lara drew two-all. This means that on Friday Geelong will play Rangers in the match for third place at 6 pm, followed by the Grand Final between North Geelong and Corio at 8 pm. Geelong got an early goal from Jordan Nelson aftr only three minutes of play and Isaac Paclula followed up with a second four minutes later. The result was never in doubt after Matthew Sesay made it three in 20 minutes. 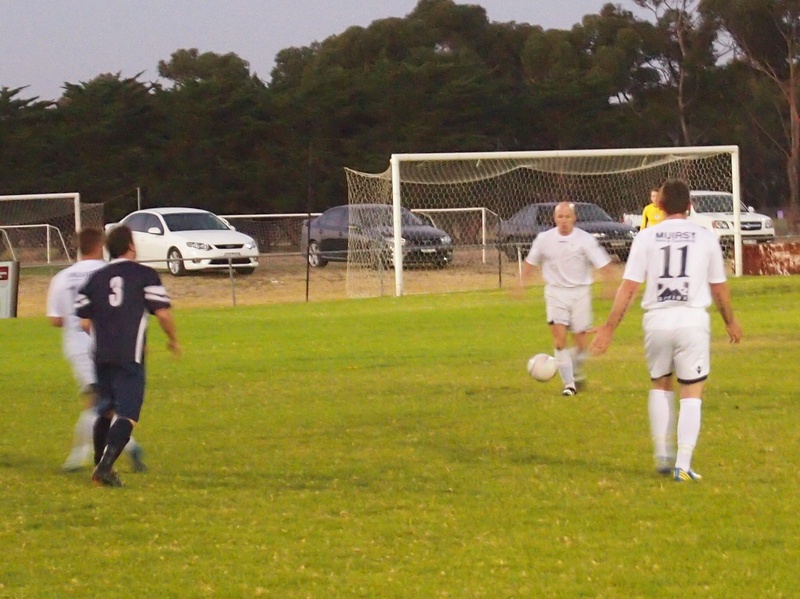 In the second half, Bell Park improved and did create the odd chance, but Geelong added a fourth goal from Jasko Ikanovic in the 40th minute. Geelong coach Ante Didulica took most pleasure from the fact that his team, even with several youngsters getting a run, is playing the way he wants it to do. The emphasis is on ensuring that players in defence are positioned so that the only way opponents can go is by playing the ball in the air. Certainly Bell Park had little answer in this match, but their coach Gino di Giandomenico is determined to persevere with his young team. He knows the road ahead will be tough, but he is committed and resilient and feels he owes it to the club to see it through. Daniel Conte stumbles as he tries to break clear. In the second match Lara surprised Rangers with a fearsome strike into the top corner by Ben Houston in the third minute. It took Rangers twenty minutes to gain an equaliser as player-coach Andy Ingham converted a pass from youngster Jak Banks. Ingham then put Rangers ahead just before the interval. Lara, as they have done all through the competition, improved in the second half and deservedly got on terms when Houston went on a solo run through a retreating defence and rounded the keeper to score his second goal. Lara even thought it had got a third goal after a series of corner kicks but it was chalked off. Rangers had the better of the final stages of the match but could not find another goal and the match ended all square. Ronnie Clayson about to clear his lines for Rangers.